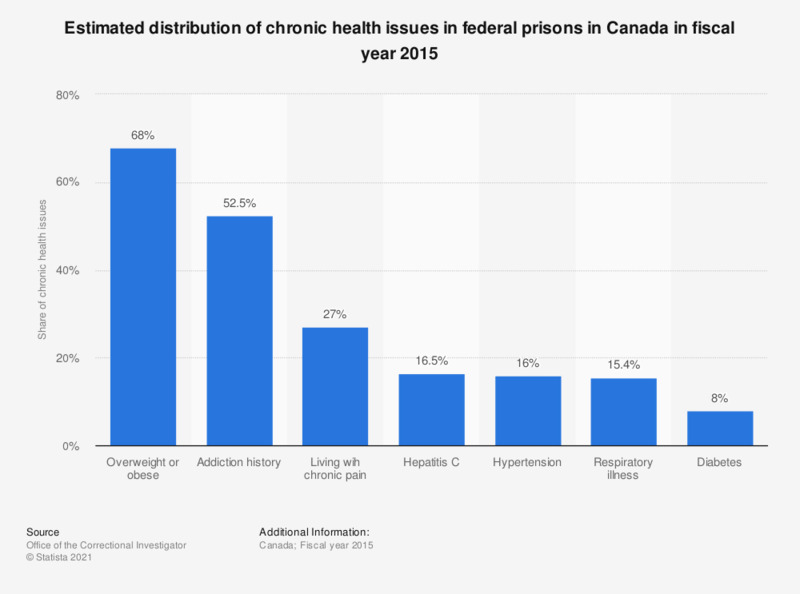 This statistic shows the estimated distribution of chronic diseases among inmate in federal prisons in Canada in fiscal year 2015. Eight percent of federal inmates were suffering from diabetes in Canada in fiscal year 2015. The Canadian government fiscal year runs from April 1 through March 31.